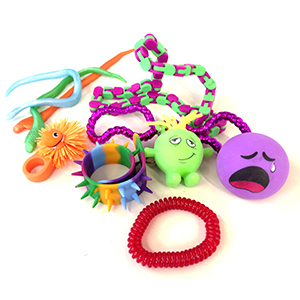 Pick of the Week: Fidgets Kit – Smooshy, squishy, twisty, bouncy and more! 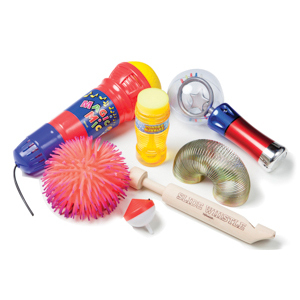 Created in conjunction with our behavioral consultant Stacy Asay, LMSW, our Fidgets Kit includes an array of items that can provide a variety of sensory experiences: stretchy, chewy, spiky, twisty, bumpy, twisty, clicky, bouncy and smooshy! This week, get the Fidgets Kit for 15% off* the normal price – just use our promo code FIDGETS at check-out! Fidget toys can be a great and socially acceptable replacement for stereotypic or repetitive behavior in the classroom or community. Some students find the repetitive action of “fidgeting” to be calming and are then better able to focus on the task at hand. Additionally, some students who have a difficult time staying still are able to sustain sitting behavior for longer periods with less support or prompting when they are manipulating something repeatedly in their hands. We’ve included a variety of items that vary in texture or are manipulated in different ways so that they can be rotated regularly. The components have also been chosen so that they can be worn on the wrist, clipped to a belt, handheld or attached to a piece of clothing. Use promo code FIDGETS at check-out to save 15%* on the Fidgets Kit this week and start helping your students focus better on their tasks! *Offer is valid until 11:59pm EST on November 17th, 2015. Not compatible with any other offers. 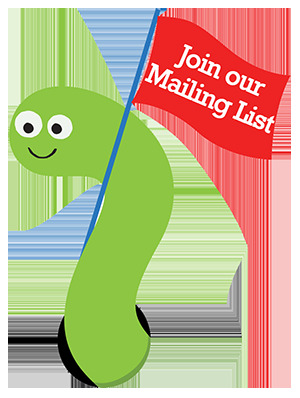 Be sure there are no spaces or dashes in your code at checkout!